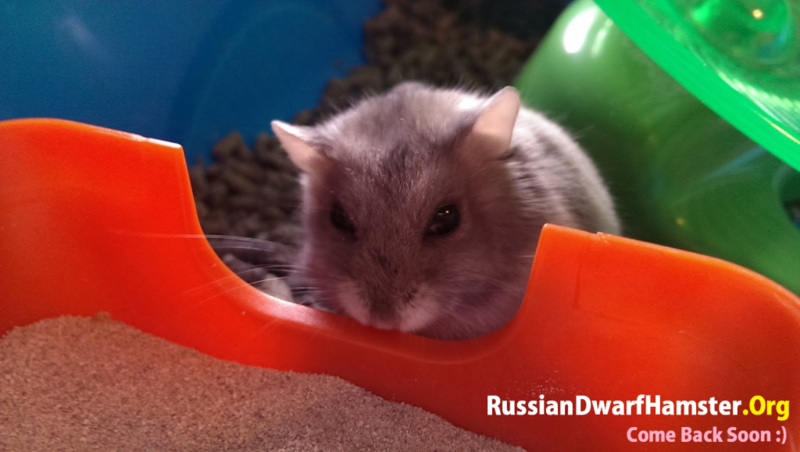 There are many causes for Russian dwarf hamster hissing. 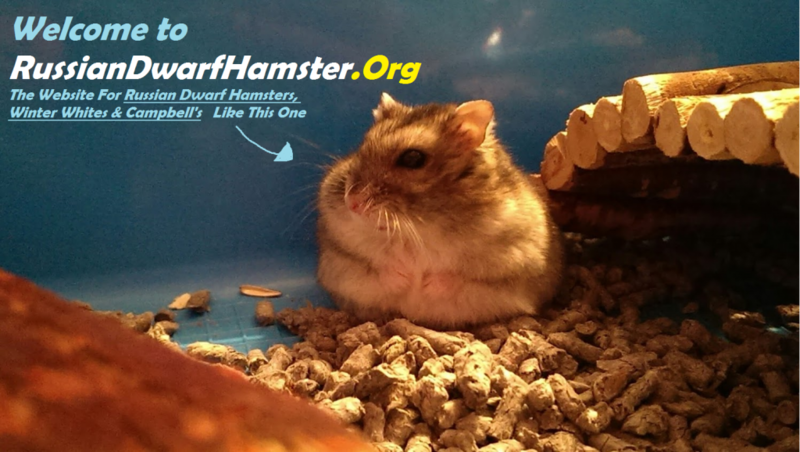 Why Is My Dwarf Hamster Hissing At Me? Hamster hissing is very similar to when a cat hisses. When a hamster hisses, this is a sign of aggression towards something they may feel is a threat. Every hamster can hiss when they want to but will only do this when feeling trapped, in danger or cornered. Some hamsters are mistreated at a young age and can develop hissing behavior towards almost everything. We will look at a way to solve this later down the page. What does hissing look like? All types of hamsters including Syrian, Chinese, Roborovski and Russian dwarfs will do this action in the same way. Normally they will stand on their back feet, open mouth and flare teeth. This is a warning that a bite and aggressive behavior will come. See picture on the right, this is very similar behavior. Not only do they hiss and bite. But you may also notice a strange smell that comes from between their legs. This is another warning sign that is normally used for marking territory. The scent that they produce is strong and in the wild is used to ward of predators. If your hamster is hissing at you, spraying and also biting then there may be a problem with your hamster. Possibly an infection, miss handled at young or even in pain. A trip to the vet can always find out what’s wrong. In the next stage, we are going to look at how to stop your dwarf hamster hissing, biting and spraying foul smells. Pets that show aggression towards their owners need to be tamed. But what does taming do? Taming, is an excellent way to build up a strong relationship with your pet hamster. Taming will allow your dwarf to realize that you mean no harm. Generally if a dwarf hamster is hissing, biting you or spraying smelly fluids, then it feels in danger around you. This can easily change when your hamster feels safe around you. This is why taming your hamster will stop hissing and biting. 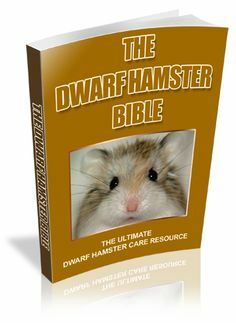 If you own a Russian, or any type of dwarf hamster and experiencing any of the above. I recommend you see our Video guide – How to Tame a Russian Dwarf Hamster by clicking here. 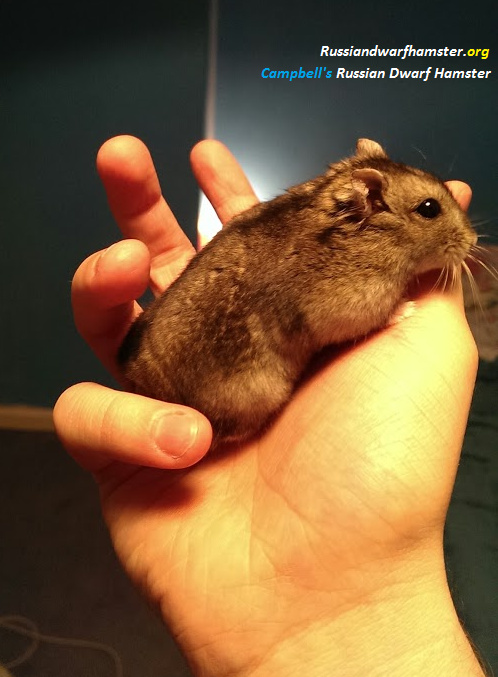 My Russian Dwarf Hamster Keeps Biting Me? Your new Russian dwarf hamster is a biter? Having a hamster that bites, may make you feel like you are doing something wrong or your pet does not like you… This is not always true! Campbell’s, Winter Whites and Russian hamsters show all similar behavior towards a threat. In the wild, they are prey animals and this is one of the reasons why they are nocturnal. Foraging at night is safer. But why does my Russian dwarf hamster keep biting me and what am I doing wrong? It is very easy to forget that your hand (towards a hamster) is the equivalent to an elephant to a human. When it intrudes within their cage, it may seem like a big scary threat to them. This normally results in your hamster biting your hand due to being frightened. It is very important that you pick your hammy up with two hands using the scoop method whilst being gentle and quiet. They are easily frightened and bite when feeling threatened. What is Normal Behavior VS Problem Biting? It may be difficult to distinguish the difference between biting and nibbling. What is Nibbling? – Nibbling is a method rodents use to determine what you are. Food, bedding or skin may be gently tested by a hamster’s mouth. Similar to a bite, a hamster will bite slower and with less intention to hurt you to understand either what you taste like, how you react to it or either to acknowledge you. What a Defensive Bite Is Like? – When they feel threatened, cornered or in danger a nasty bite will draw blood. This could be a defensive warning or a means of getting your attention. Normally these bites will happen quickly and they may hiss or make a squeaking noise. What is Hissing? – Hissing is a noise hamsters make when they are angry or threatened. It sounds very similar to a cat hissing. They only do this when they are upset, bite and think you are a predator. How to Stop Your Russian Biting You? 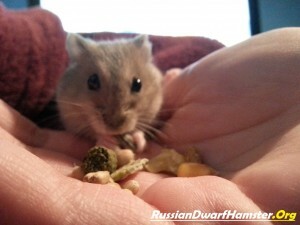 Getting a bite by your Russian dwarf hamster can hurt and discourage you from handling them. No one likes getting bitten! There are a couple of things to do but the best one I will save till last. 1. 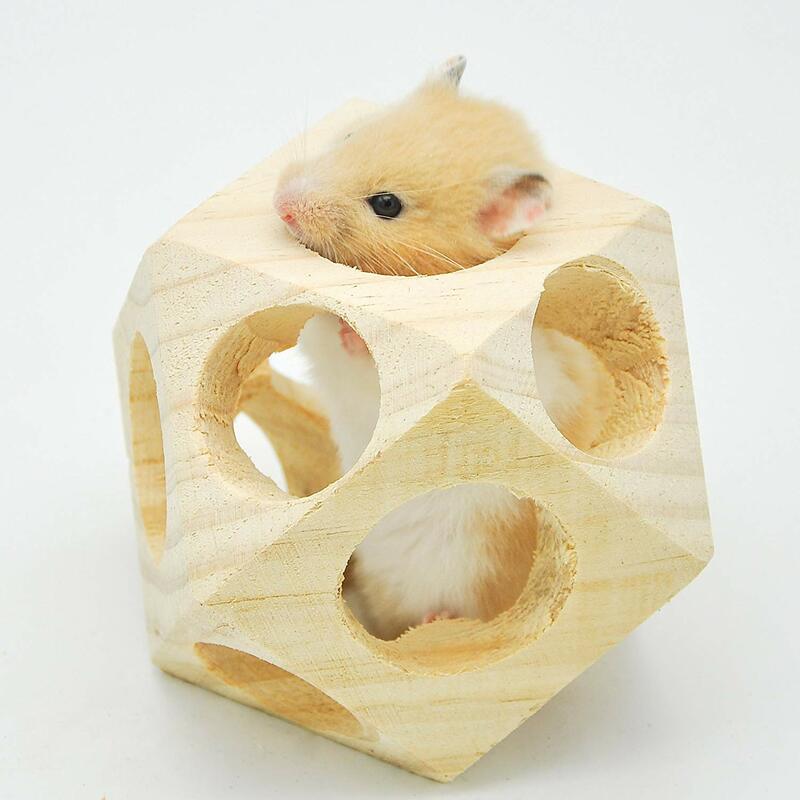 Make sure your hamster’s cage/environment is spacious. Rodents may bite because of boredom and chew through their accessories. This can be prevented with a bigger cage/tank. See what we recommend you get here. 2. Have two hammies living together? Maybe one is being bullied by the other and this is why one is biting you. 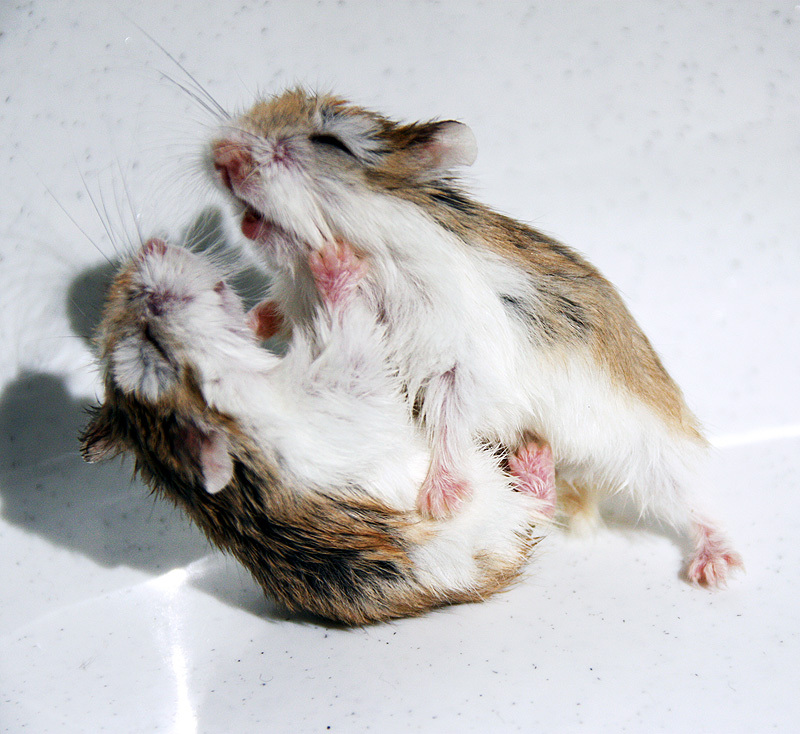 They can be defensive to humans and other hamsters when they grow older, especially 2 males. Learn more about this behaviour here. 3. Our final recommendation and the best one for you. Taming your hamster is an excellent way to get your pet to stop biting, become very handle able and relaxed around you plus others. Hamsters need taming before they are comfortable with being handled regularly and if you have not tamed your hamster yet, you can learn How to Tame a Russian Dwarf Hamster in 5 Easy Steps Here.